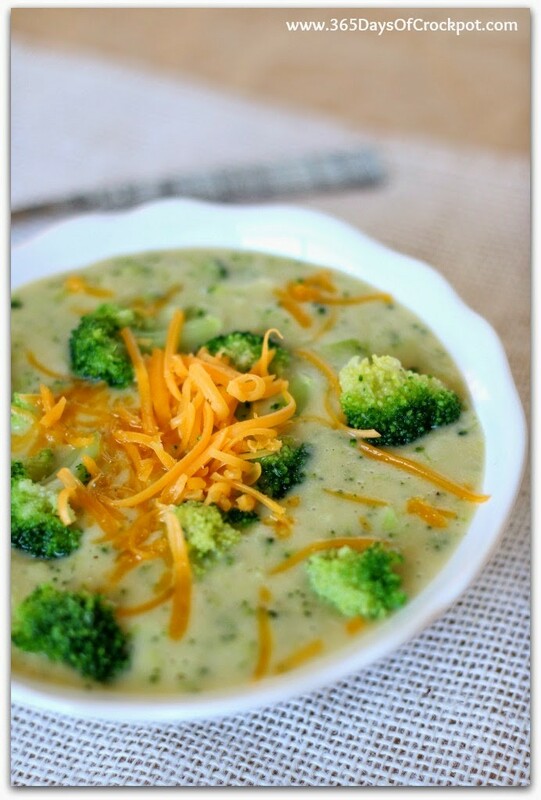 A slow cooker and healthier version of a very popular soup–Broccoli Cheddar Soup. 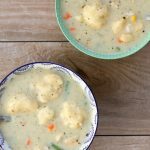 Because the base of the soup is made of yellow butter potatoes instead of butter, flour and cream this soup is gluten free and lighter than it’s original counterpart. 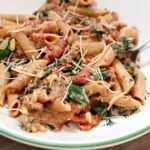 However, it doesn’t taste light at all–it tastes creamy and indulgent. This soup is absolutely amazing! I am so excited that it turned out as well as it did. I thought that using potatoes as the creamy base of the soup might give the soup an off taste but it turned out perfect. I used yellow butter potatoes which give the soup a rich, buttery taste without all the calories. 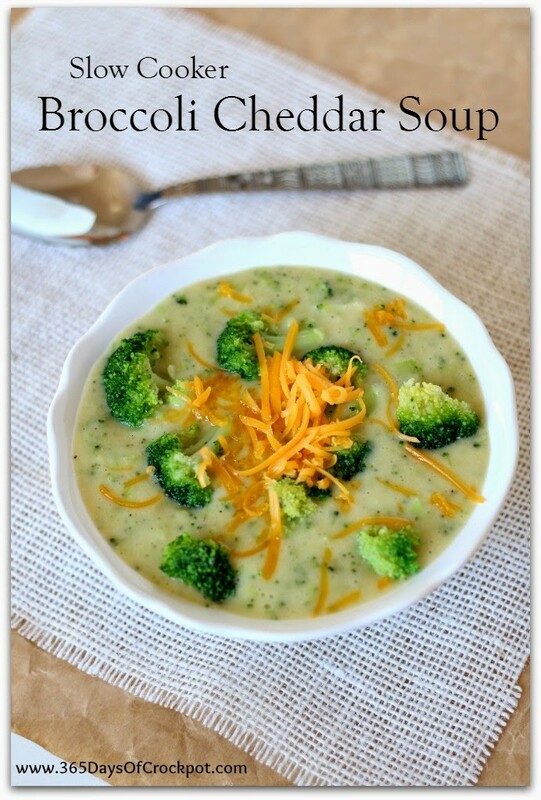 It also gives the soup an ultra thick and creamy texture. I wanted a lot of broccoli flavor so I used an entire pound of frozen broccoli florets. 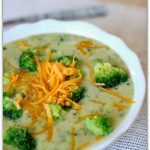 By using frozen broccoli that was already cut into florets and frozen at the peak of freshness I saved time and ensured uniformity and quality in the soup. 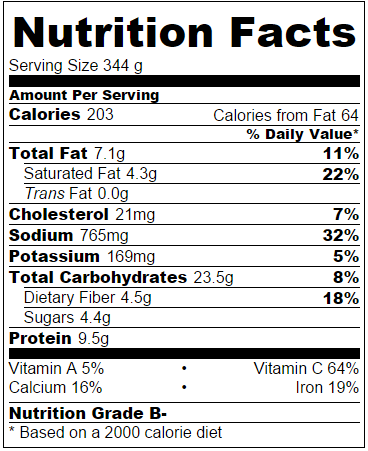 I also wanted the cheddar taste without a lot of calories so I went with an extra sharp cheddar. This gave the soup the flavor it needed and I only used 2 ounces of cheese. Of course you could double that amount and it would probably be even better but if you’re trying to go the healthier route just stick with 2 ounces. I ended up using half and half but I totally think that using milk would be fine too. Combine diced onion, oil, green onions, garlic and thyme in a microwave safe bowl. Microwave of high for 5 minutes, stirring every 90 seconds or so. The onions will soften and be almost sauteed. Add the mixture into the slow cooker. While onions are cooking, peel and diced the butter potatoes. Using these specific potatoes will give a nice buttery flavor to the soup. Add the potatoes and the broth to the slow cooker. Add in salt and pepper to the slow cooker. 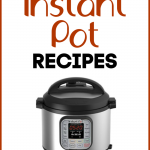 Cover the slow cooker and cook on LOW for about 5-6 hours or on HIGH for about 3-4 hours. 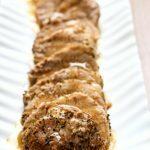 The potatoes should be very tender. package of frozen broccoli. Pulse 3-4 times until you get the soup to your desired consistency. 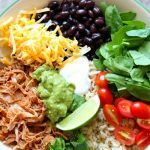 Pour contents of blender back into the slow cooker. 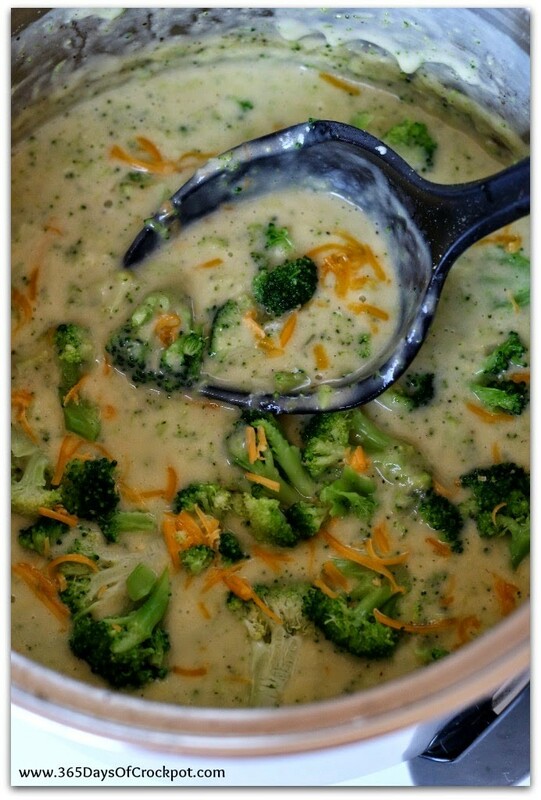 Add in the grated cheddar, the half and half and the rest of the broccoli florets. Salt and pepper to taste (I added in another 1/4 tsp of salt). Turn to high, stir and let it heat a few minutes and then serve. Yeah, you forgot to figure out how to share on FB and this is mucho times I have sent a reply.!!!! What size slow cooker did you use? Curious…do you add the broth in the beginning with the potatoes….also, do you think it would freeze well?Thanks! Oops sorry Jill. I forgot to add that into the instructions. You add it in the same time as the potatoes. I bet it would freeze okay. I'm not sure about potatoes freezing but I would give it a shot and see! 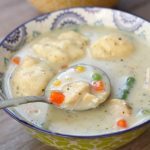 Looks good; you are on a roll with the soups! Yes! I love the soups!